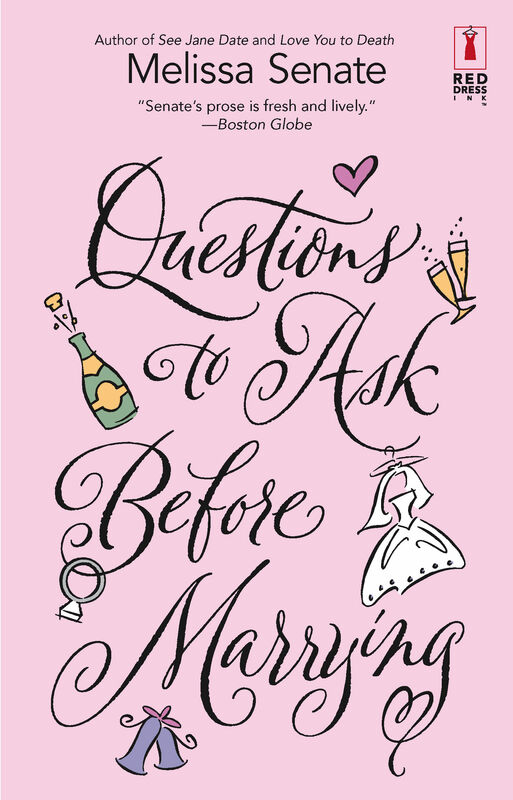 Please welcome guest author Melissa Senate, whose novel Questions to Ask Before Marrying has just been released. MS: Questions To Ask Before Marrying is about very different twin sisters on a road trip from Maine to Las Vegas, where our heroine, Ruby, may or may not marry her buttoned-up fiance in an Elvis wedding chapel. (NOT if her twin, professional muse and face reader Stella, has anything to say about it. And Stella says a lot for three thousand miles—except for two very big secrets she’s keeping. I will say that this book is tied for my favorite with my debut! MS: When I heard that Harlequin was starting an imprint dedicated to chick lit, I knew this was it for me—if I was ever going to sit my tush down and write the book that was inside me for years, the book I was too afraid to even try to attempt, now (eight years ago now) was the time. I’m so glad I listened to that voice! MS: People have come out of the woodwork because I’m so Google-able. We’re talking first best friends from third-grade. Boyfriends who’ve written manuscripts and want to use me for my contacts! Half-siblings I’ve never met and only vaguely knew existed (that’ll be the premise of my next book, by the way). MS: I absolutely love old-fashioned pumpkin pie. I was so entranced by the idea of a pie diner (like from the wonderful film Waitress, that I had my characters from Questions To Ask Before Marrying stop in a pie diner and have some scrumptious pie. I’ve recently lost 36 pounds of divorce weight on the South Beach Diet, so I don’t/won’t eat pie anymore, but I will eat vicariously through my characters. 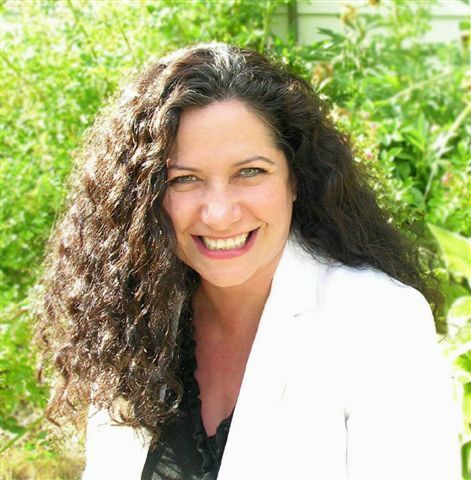 Melissa Senate is the author of seven novels, including her debut, the bestselling See Jane Date, which was made into a very cute TV movie for ABC Family, and Theodora Twist, her first YA. A former editor of romance novels and teen fiction, Melissa lives on the southern coast of Maine with son, his Pokemon cards collection, and their two witchy black cats. She’s hard at work on her next YA for Delacorte, and just sold her next two adult novels to Pocket Books. I can’t wait to read this book! I loved See Jane Date so I’m excited that Ms. Senate likes this one as much! Bought and read this book all in one day. It was so good I couldn’t put it down. And I would love to see Stella get her own book. LOL I describe myself as an extroverted introvert too, so it makes perfect sense to me! Great to see you here, Melissa. Funny, I have a book about twins who go to Vegas, too. Congrats on all your great stuff going on and I look forward to reading Questions To Ask Before Marrying. Welcome to The Ball, Melissa. I’ve read quite a few of your books, including See Jane Date–you have a wonderful voice and explore family dynamics with nuance and humour, so I’m looking forward to this book. I know exactly what you mean about being an introverted extrovert–it’s an excellent description. Most people see me as very outgoing and social but what they don’t realize is how much energy it takes for me to go into that mode. I need lots of alone time to balance out the rest of it. Any advice for us as debut novelists? Ah pie. And pumpkin pie at that. Yum. Congrats on all the sales! Thanks so much for coming by the ball. This book has been added to the to be read list for sure. We’re so glad to have you! Your book looks fantastic, can’t wait to read it!! Oooh, thank you all so much for your nice comments! It’s funny how many writers ARE extroverted introverts. Danielle, my one piece of advice for debs is to absolutely bask in the joy of having a debut novel out/coming out. Bask! Celebrate outwardly, inwardly, unwardly (I just made that last one up). When my debut first came out, I wanted to buy myself something really special, something I’d always have and could pass down, so I marched into Cartier and bought myself the watch I’d lusted after for years. Okay, it was the least expensive watch in the entire store, but still. Seven years later, that watch still symbolizes so much for me. I know I’ll have it/wear it forever. I do have another bit of advice about going forward: always, always, always trust your instincts about EVERYTHING.